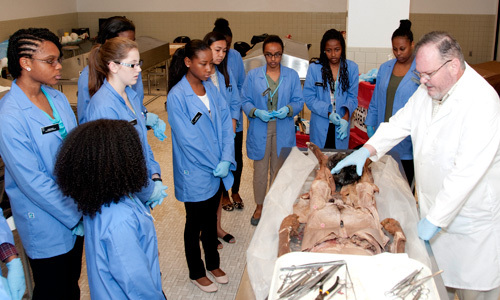 The Summer Scholars Program gives you the opportunity to learn more about a career in health care. 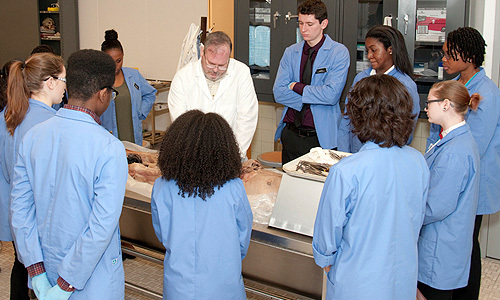 We have two programs: one for undergraduate students and one for high school students. 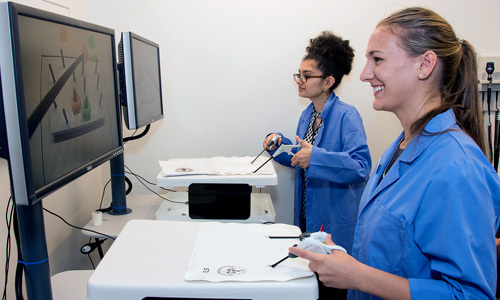 From gaining additional knowledge in the basic sciences to experiencing clinical rotations, you will spend a few weeks investigating health care as a profession. 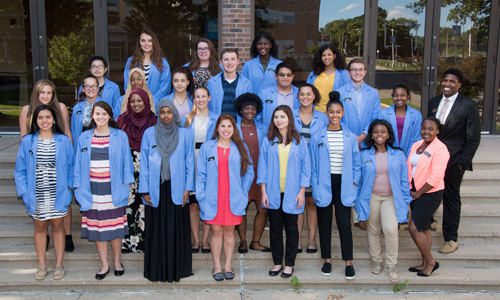 In the past, Summer Scholars has been an opportunity for high school students to learn about the health professions in hospitals, clinics, and other resources around the UMKC School of Medicine. This year, we are pleased to announce that through the STAHR Scholars Program, undergraduate students will also be eligible to participate. 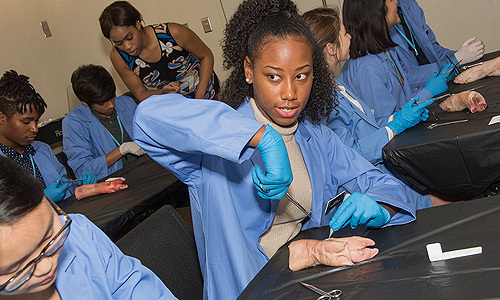 Both the high school students and the undergraduates will have a chance to design and work on a research project, shadow a variety of physicians, and learn more about careers in medicine, pharmacy, and dentistry. 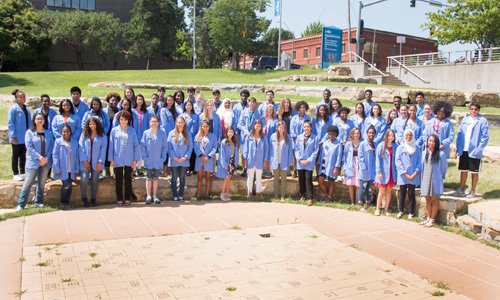 In Summer Scholars, students will spend time meeting medical professionals at Truman Medical Center, the Kansas City Missouri Health Department, Children’s Mercy, and the University of Missouri-Kansas City Schools of Medicine, Pharmacy, and Dentistry. 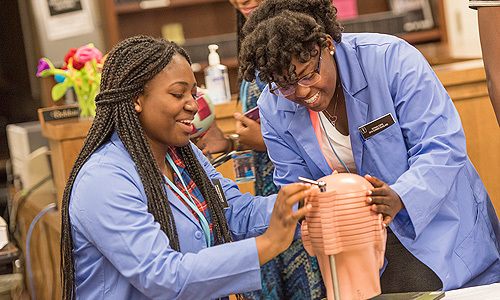 Choosing a career in health care is a big investment and the Summer Scholars Program will assist you in determining whether or not it is the right choice for you. For the application for the Undergraduate experience in the program click here. For the application for the High School experience in the program click here. Our traditional Summer Scholars program is a two week experience. It is open to all interested high school students who will be juniors and seniors in the fall semester. 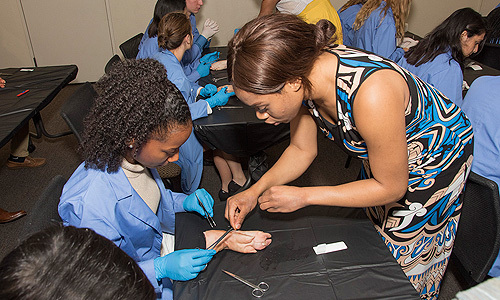 This program is designed to attract students who have been traditionally underrepresented in the health care profession, including disadvantaged, minority and rural students. Most of our students attend public and private high schools in the Kansas City area (Jackson, Platte, Clay and Cass counties in Missouri and Johnson and Wyandotte counties in Kansas). 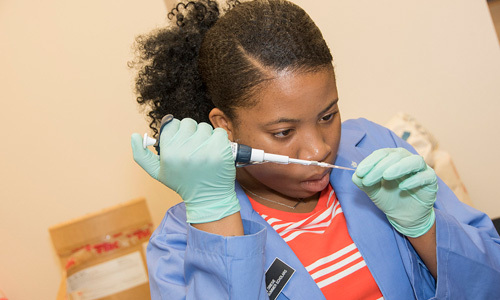 Our STAHR Summer Scholars program is a six week experience. It is open to high school students and undergraduate students. Like the traditional program, preference is given to students who are from traditionally underrepresented communities and who live in the Kansas City metro area. However, in order to be eligible to participate, students will need to be from an economically disadvantaged family or attend an economically disadvantaged high school. Students may also be considered if they will be the first student in their family to attend college or (for undergraduates) if they are the first person in their family to attend. 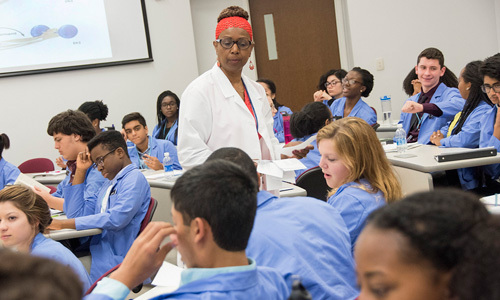 By attending the Summer Scholars Program, you’ll learn what it takes to prepare for a career in health care and begin building the foundation for success in multiple areas including: interview skills, study and test-taking strategies, and interpersonal and communication skills. In addition, you will learn about various occupations from physicians and health care professionals through the Physician Speaker Lecture Series. 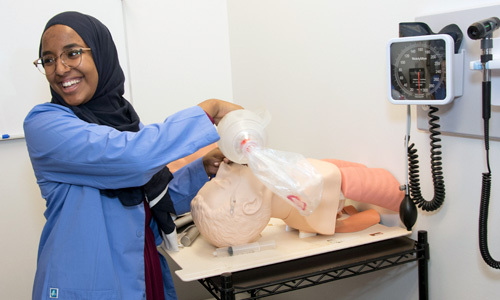 You also will receive daily instruction in anatomy, physiology, biology and chemistry which will help you academically prepare for education in the health sciences and a career in health care. 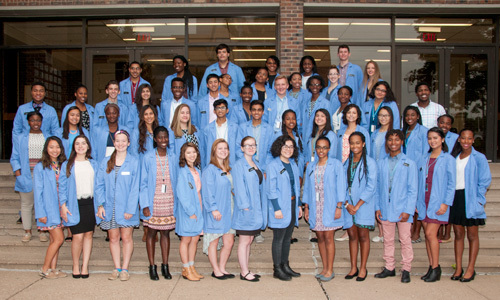 For high school students interested in research and further clinical exposure, you can return for a second year for the Advanced Summer Scholars Program, where high school seniors further develop research skills and gain more exposure to clinical work. 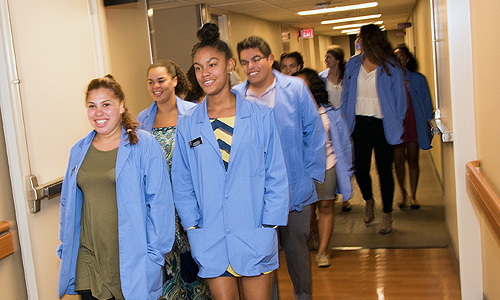 Advanced Summer Scholars participate in additional clinical experiences and interact with health care professionals from their first year as a Summer Scholar. 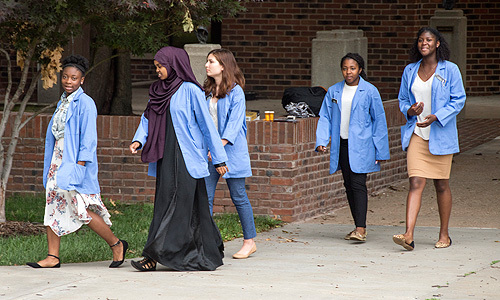 If selected, you must be available to attend all Summer Scholars sessions, which will consist of daily sessions on weekdays from 7:50 a.m. to 5:00 p.m. The program is free. No tuition is charged for program participation. Is the Summer Scholars Program right for me or my daughter/son? Note: Summer Scholars is not an academically accelerated program. 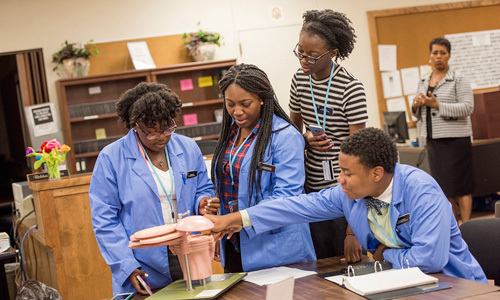 It is most appropriate for highly motivated students who want to increase their exposure to health careers and improve their science skills through review and enrichment. 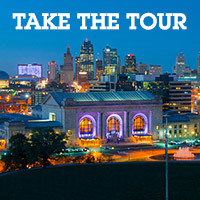 If you have any questions, you can contact Dr. Allan Davis at davisall@umkc.edu or (816) 235-5434.